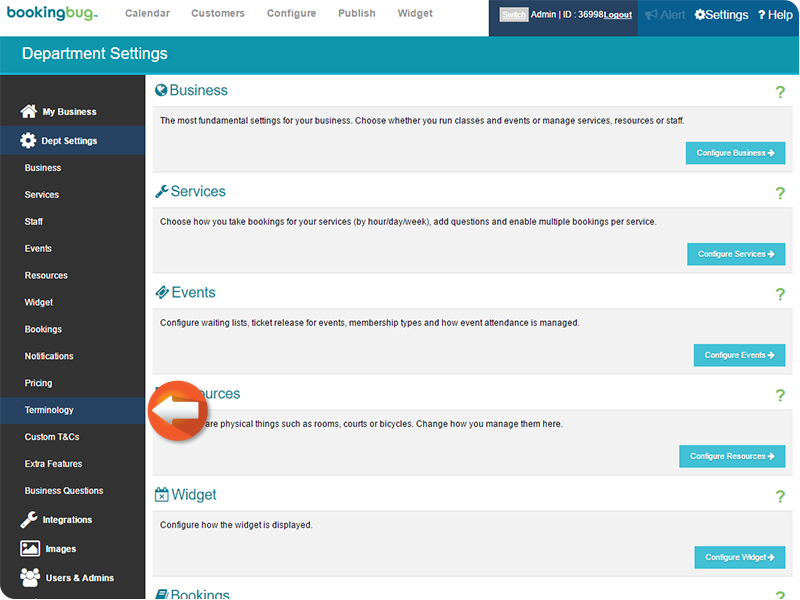 The Terminology feature in BookingBug allows you to change the way certain terms in BookingBug are displayed. 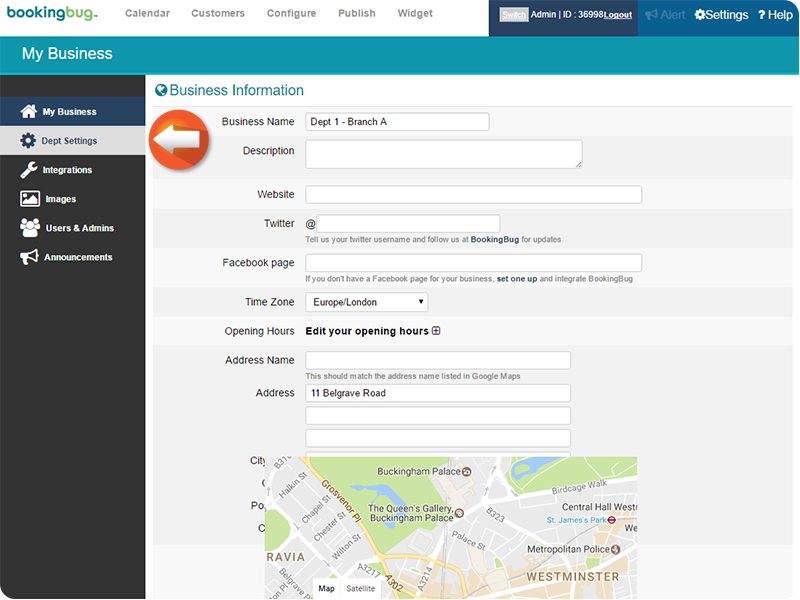 You can customise these terms to make BookingBug's menus appear better suited for your Business. 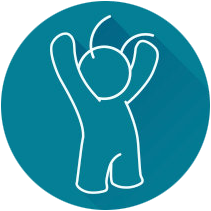 If you were teaching in a classroom, you could rename your Resources "Class Rooms" to be more clear. 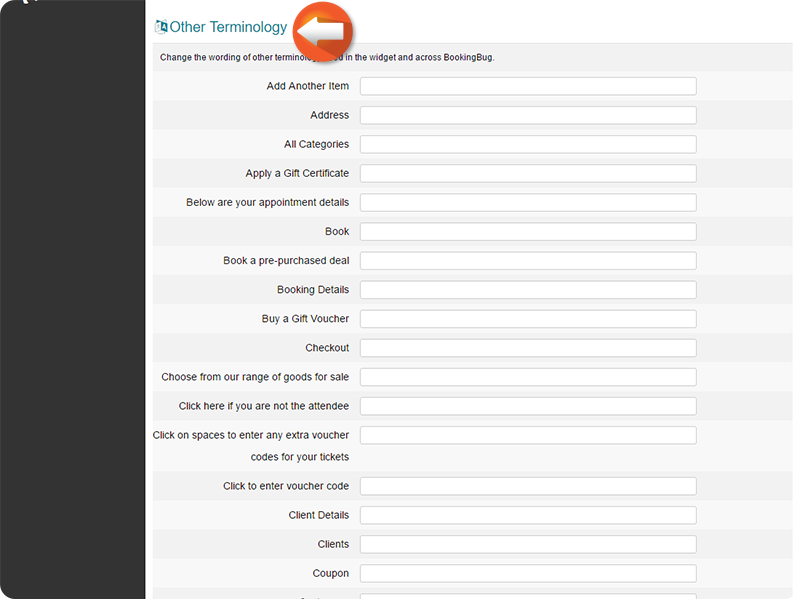 The Common Terminology field lets you rename some of BookingBug's most popular terms. 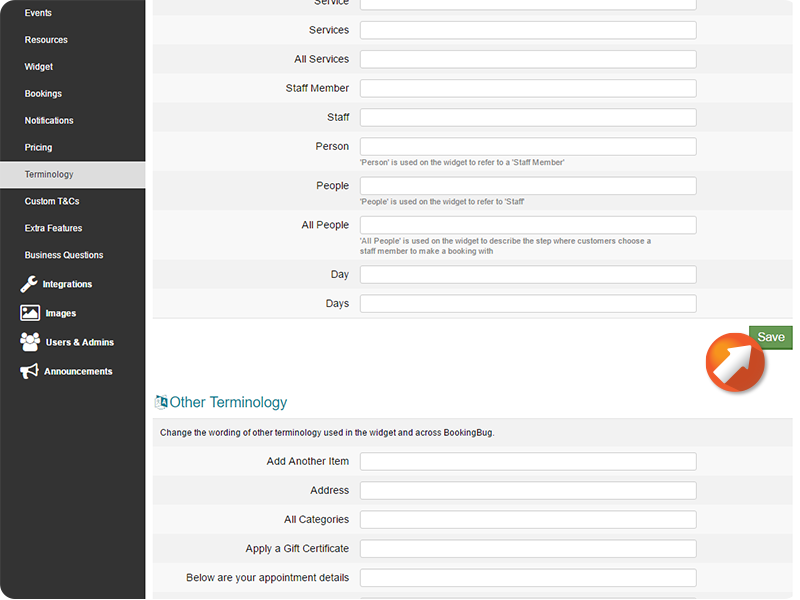 Enter the desired new terminology text into the fields, then click Save to confirm. 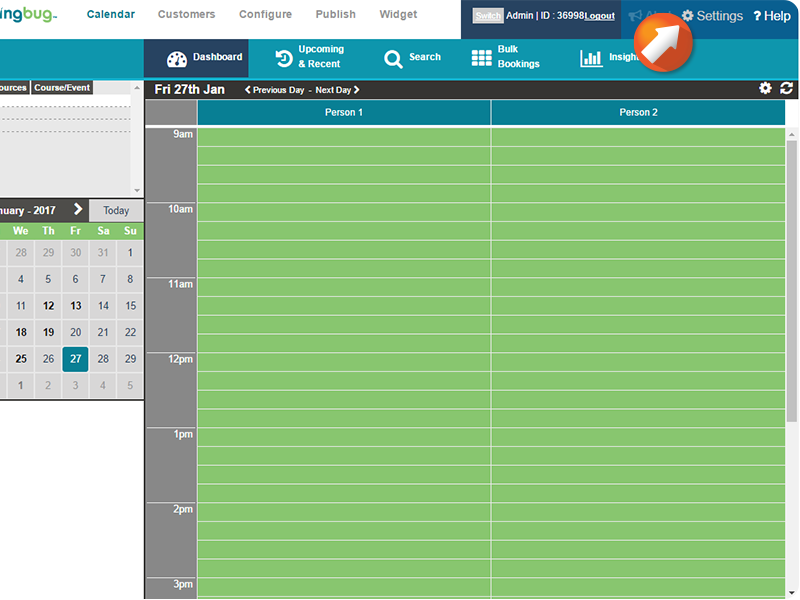 BookingBug can also customise much of the text and icon content that is displayed throughout the Customer journey in the BookingBug widget. 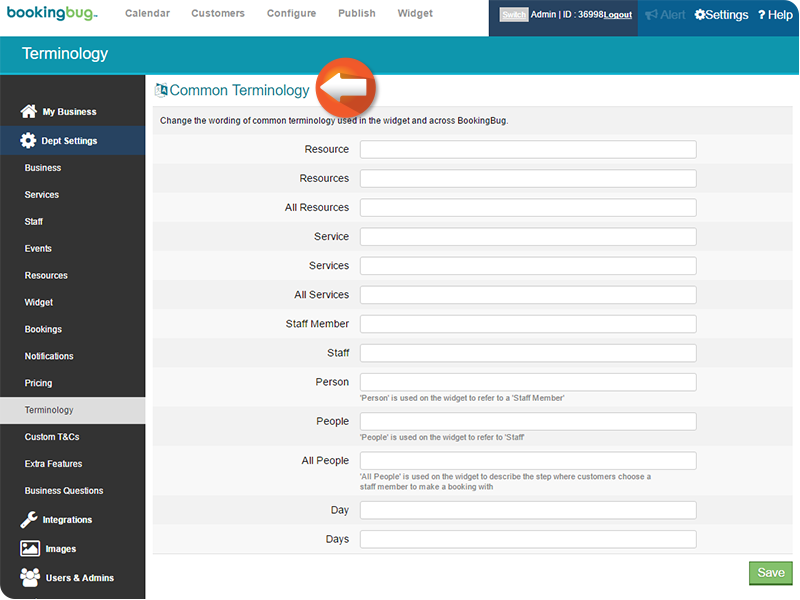 Enter text into the Other Terminology fields to change how these phrases are displayed in the widget. Scroll to, then click Save to confirm.